If I was a cat, Square would make me purr. It's just that delightful. 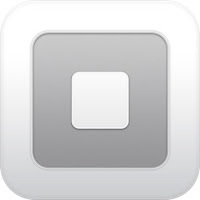 Square is a payment application that is available for the iPhone and the Android, as well as the iPad. Others will soon be added. The idea of the application is that it will allow you to accept credit card payments wherever you are, whether you are a business or personal user. In order to use the application, you sign up at SquareUp.com, and this process is free. 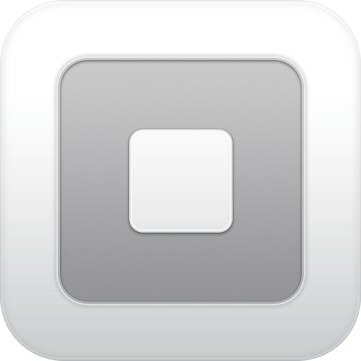 Then, Square will send you a free card reader that plugs into your device and allows credit cards to be swiped. If you don't want to use a card reader with the application, you can also enter the credit card details into the application manually using the on screen keypad on your smartphone/iPad. Once you have carried out a transaction, you will be given a receipt that can be signed on the smartphone/iPad. So why is this service free? Well, it isn’t really free - Square actually takes a small fee from each transaction that you make: 2.75% + 15¢ for swiped transactions. There are no activation, gateway, monthly, early termination, or hidden fees. Whether you are processing a client's payment for therapy, or selling a book or CD at a conference, this is a fantastic app. Especially if you have ever tried to set up a merchant account for your website. I sell, therefore I Square. Founded in 1949, Hazelden is one of the oldest and best known alcohol and drug treatment facilities in the USA. Not necessarily the place I would expect to develop a cutting edge social media approach to helping people cope with addiction. How wrong I was. Hazelden is behind a super cool, multifaceted website/blog/social network called Sober24. I am an impatient sort, so I have not saved the best for last - the cleverest part of Sober24, is the "SoberFuse". You sign up for SoberFuse online. They ask you basic questions about how long you've been sober, whether you attend 12 step meetings, whether you participate in certain constructive activities, etc. You list the key people who are supporting your recovery. Once you have done this, you are directed to a web page that visually represents your addiction as a bundle of dynamite with a lit fuse of a certain length. If you progress, your fuse gets longer or stays the same length. If you engage in dysfunctional behavior, your fuse gets shorter and shorter, until you blow up - a vivid indicator that you have relapsed. In trouble? Press a button to "Access your contact list". In real trouble? Press the "Panic Button" to connect immediately to a professional. Brilliant. Electronic forums on a variety of topics -e.g. for newcomers, for families in recovery, for people with gambling and debt issues, etc. You can host an online diary on the site - "My Journal" or read their featured online diary, "Diary of an Alcoholic Housewife"
You can take a free online screening tool - "About My Drinking" which will help you figure out if you should be concerned about yourself or a loved one. And that is but the tip of the iceberg - there are also online chat rooms, a button you press to get an instant list of 12 step meetings, an online book club, etcetera, etcetera, etcetera. Here's hoping they reach Gen Y with this 21st century approach. It's been a long time since I have blogged about hardware. But Santa dropped off an iPad at my house last month, and finally I have something worthy to write about. It's beautiful. It looks like it comes from the future - but you can have it NOW. The display is amazing - sharp, colorful - as good as it gets. You can use it like a Kindle - to read books. You can watch movies - a boon for the traveler or commuter - plug in a set of head phones, download the film through the Netflix app and you are set. You can check your e-mail - and respond by typing on the full virtual keyboard. You can play games - downloaded from among an endless variety through the App Store. You can listen to music. You can surf the net. The battery life is excellent - you can read for 12+ hours, watch video for 10+ hours (great on long flights), and if you are just using it for occasional gaming and web browsing, you can go days without recharging it. The iPad instructions consist of a card on which are printed four very short bullet points worth of instructions. If you do not already own an iPhone, they probably will leave you clueless and unable to set up/use your iPad. If you are planning on buying an iPad, or if you are given one as a present and you do not already have (and use) an iPhone, buy " iPad - the missing manual". This book does a great job of explaining the iPad's set up and features in plain English. The iPad is not a laptop. You cannot use Microsoft Office or plug in peripherals like printers and other external hardware because it does not have USB ports. It does not come with headphones - even those horribly uncomfortable earbuds that come with every iPod. It does not come with a case - and you need one. I really love my Belkin Vue Sleeve. If you ever need to show a client, a patient, a colleague, anything on the go - there is nothing more powerful. 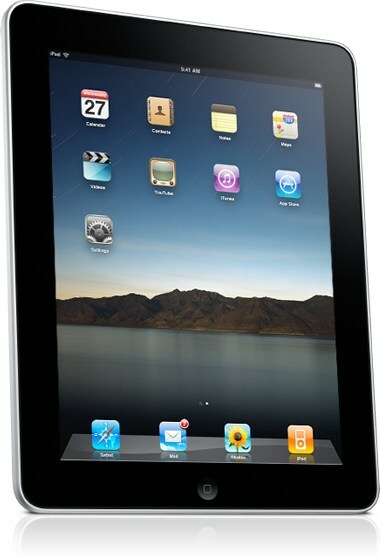 A picture, video, and/or document is worth a thousand words when displayed virtually instantly on the iPad. Bonus: Every time I use it, I feel like I have traveled to the future - it's just that cool. 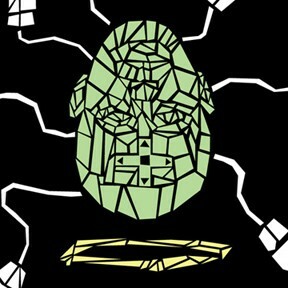 How fitting to welcome 2011 with a post about the future of therapy. I have already written about avatar therapy in Second Life - a virtual world that clients will visit in growing numbers to access help. But there are other cutting edge avenues that are being explored. Some of these were highlighted in a recent New York Times article, "In Cybertherapy, Avatars Assist With Healing." "For more than a decade, a handful of therapists have been using virtual environments to help people to work through phobias, like a fear of heights or of public spaces. But now advances in artificial intelligence and computer modeling are allowing them to take on a wider array of complex social challenges and to gain insight into how people are affected by interactions with virtual humans — or by inhabiting avatars of themselves. Researchers are populating digital worlds with autonomous, virtual humans that can evoke the same tensions as in real-life encounters. People with social anxiety are struck dumb when asked questions by a virtual stranger. Heavy drinkers feel strong urges to order something from a virtual bartender, while gamblers are drawn to sit down and join a group playing on virtual slot machines. And therapists can advise patients at the very moment those sensations are felt. In a series of experiments, researchers have shown that people internalize these virtual experiences and their responses to them — with effects that carry over into real life." Of course cybertherapy has its critics - concerns about side effects, the difference between virtual environments and reality, etc. But to me, it is just another treatment modality, to be used when appropriate, on a case by case basis, like EMDR, or Imago Therapy. I have grave concerns about this approach - once a patient has self disclosed to the SimCoach - how thrilled will he/she be about doing it all over again with a live therapist? And the SimCoach is not capable of diagnosing if someone needs an urgent intervention. Only time, research, and clinical practice will reveal and refine the best of the cybertherapies. But like everything else in the world of technology - it's a rapidly growing phenomenon. Coming to a clinic near you.